WHITE DOO-WOP COLLECTOR: THE KNIGHTSMEN_Darlin' Why? -Darlin' Why?/Pistol Packin Mama. Bocaldum Records 1960. The Knightsmen were from Odessa, TX while the label was based out of El Paso. 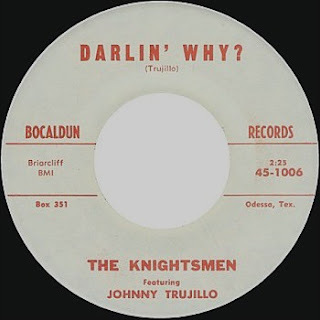 This chicano band was led by Johnny Trujillo on _Darling' Why? with Sue Black in the background, she was the lead on the flipside_Pistol Packin Mama. 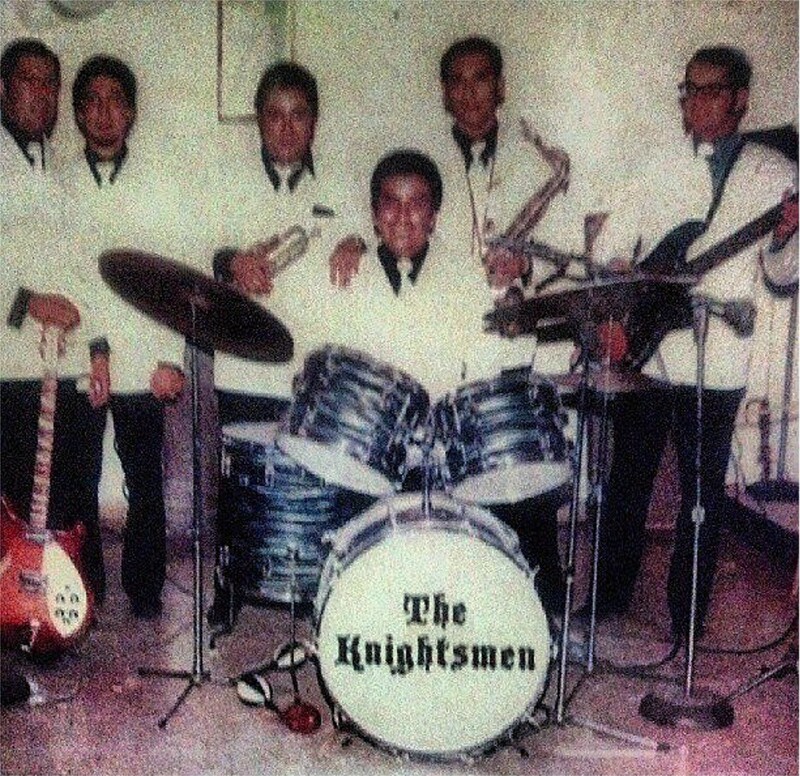 Left to right, Bobby Villegas, Guitar, Rudy Apodaca, Organ , Sonny Trevino, Trumpet and vocals, Johnny Trujillo, Drums and Vocals, Orlando Samaniego, Saxophone, Harmonica & Vocals, Jamie Lucero, Bass. 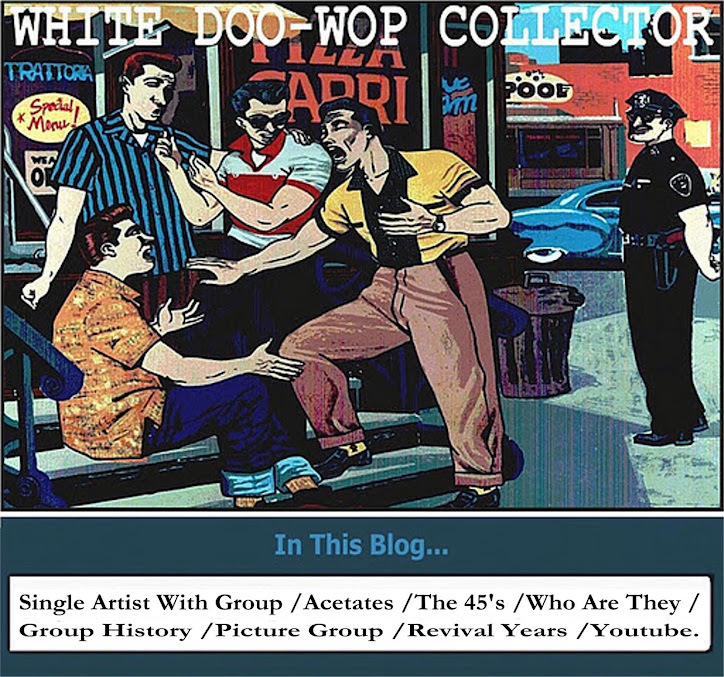 Sue Black have another good doo wop recording as Sue Black with Rick & The Youngsters.